Are you searching for a suitable unexplored hill station in southern Maharashtra? Check out Amboli hill station in Sindhudurg is a beautiful place to enjoy your holidays. The details of location, how to reach, what to eat and where to stay are described in this article. 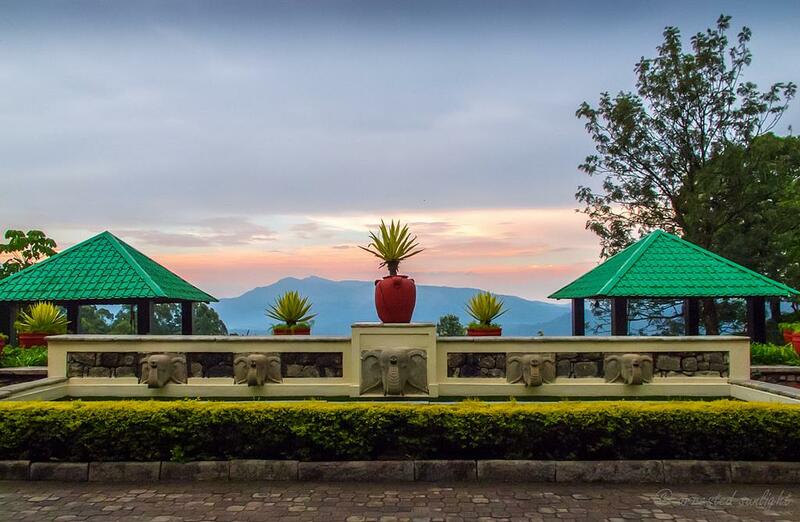 Wondering where to go for a short holiday in the hills? Then, Amboli, a hill stations near Mumbai, India is a good choice. 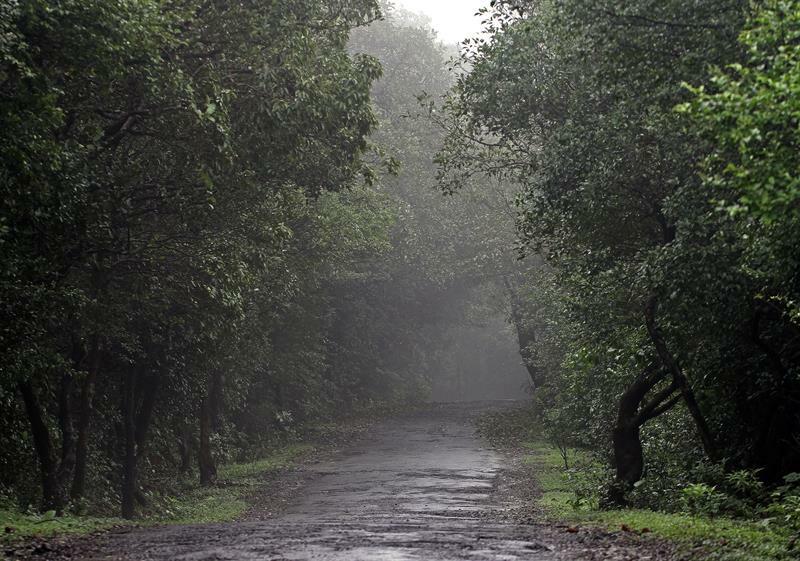 Read this article to know more about Amboli and how to plan the holiday. Amboli is a beautiful hill station in the Sahyadri Hills in Sindhudurg district of Maharashtra. It stands above and looks into the thick rainforest along the Vengurla coastal Maharashtra route. 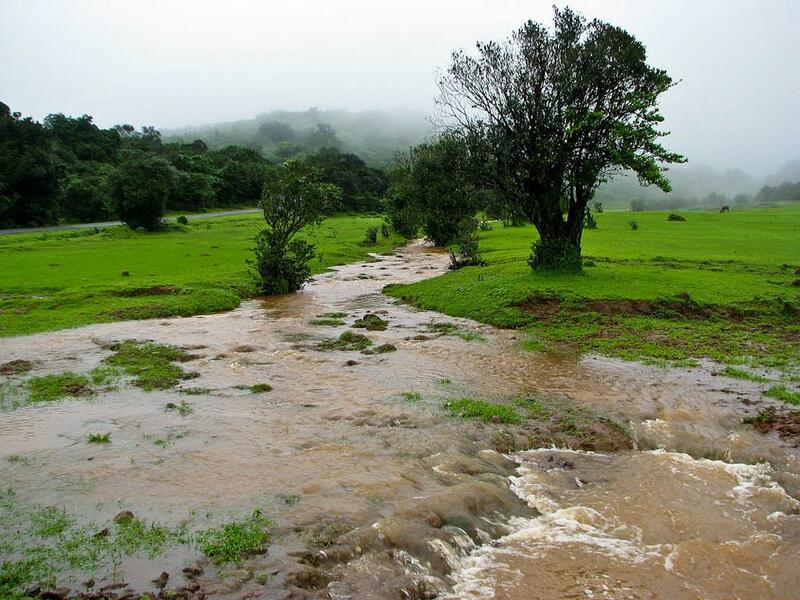 Did you know that Amboli receives the highest rainfall in the entire state of Maharashtra? It becomes lush green and looks just awesome in the rains with the mist and the waterfalls. Hence it also remains pleasant all-round the year. Amboli is one of the world's Eco Hot Spots and is home to unique flora and fauna. 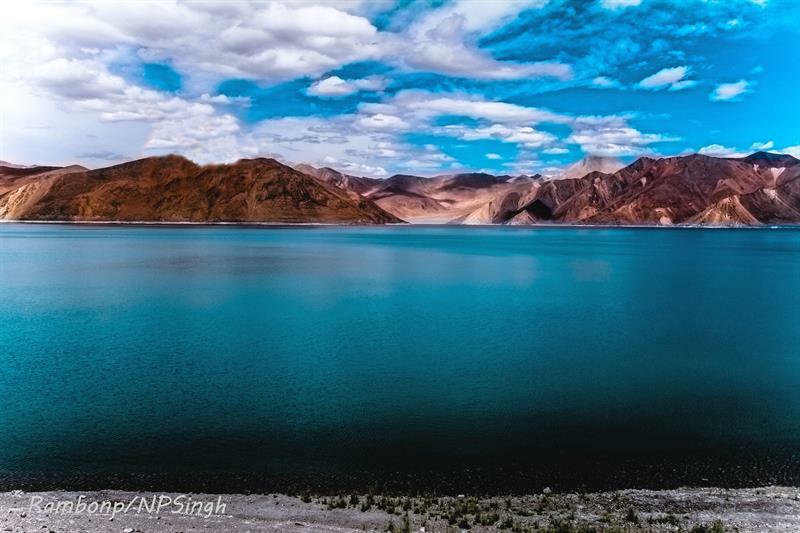 The best season to visit is just after the onset of the monsoons between June to August. Because of its location it is flocked by tourists from Goa, Belgaum, Kolhapur and even Mumbai and Pune. In the non-monsoon season, the town is quite deserted of tourists and people live quite a laid back life. Amboli is more than 2500 ft above sea level in the Sahyadris. It is well connected by road to Kolhapur, Belagavi, Panjim while the nearest airport is at Belagavi. The roads in the Konkan region are surrounded by lush green forests, hills and mountains and rivers, streams and waterfalls. Typically Amboli is in close proximity of Belgaum, Panjim, Kolhapur, Hubli and even Pune. Train: You can travel by Konkan railway to the nearest station- Sawantwadi or take the other trains to Kolhapur, Sangli , Belgaum or Miraj. From these stations you can take Karnataka State Road Transport Corporation –KSRTC and Maharashtra State Road Transport Corporation-MSRTC buses or a private car to reach Amboli. Private car or taxi: Take this from your destination to Amboli and will be also useful to travel around to visit the various attractions in and around Amboli. In case you are traveling from Mumbai then you can drive along NH17 to reach Sawantwadi and then drive about 30 kms to the east in the Sahyadris. If you are coming from Pune or Kolhapur then keep steady on NH4 till Sankeshwar and then move on to Gadhinglaj-Ajara-Amboli road. Buses: KSRTC/ MSRTC buses ply from various cities in Karnataka and Maharashtra and take you to Sawantwadi or Belgaum from where you can reach Amboli. Air: You can take a flight to Dabolim airport, Goa or Sambre airport, Belgaum. Then take a taxi to reach Amboli. Being a hill station Amboli held significant importance in the British regime. It was set up as a staging post along the road joining the port of Vengurla to Belgaum. The road was used to supply the barracks of the British in south and central parts of the country. 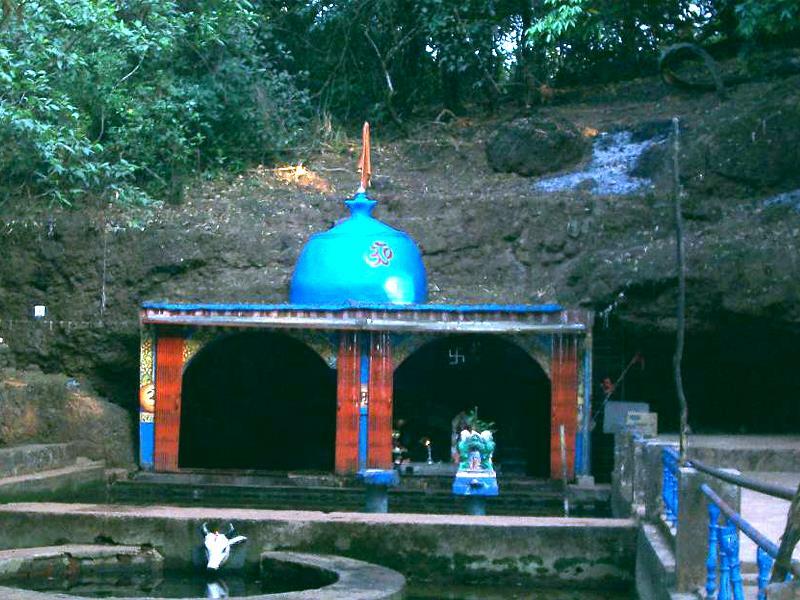 According to the legend there are 108 Shiva temples in and around Amboli. Out of these 108, only a dozen have been discovered. Can you believe it: one was discovered as recently as 2005? You need a two –three days stay to really appreciate the beauty and history of the place. Amboli is not very well developed tourist or a holiday destination like Lonavla/ Mahableshwar/ Panchgani/ Pachmarhi/ Shimla/ Manali/ Ooty/ Kodaikanal etc. Hence you will find decent and reasonably priced hotels in the town, namely Vrindavan resort, Nisarg resort, Whistling Woods, Silent Valley resort, MTDC, Pushkarleela resort etc. The resorts in amboli ghat will not be very luxurious but will provide hot water bath,, restaurant, room service, travel desk etc. In case you are traveling in the monsoons, it is the peak season, remember to book well in advance. 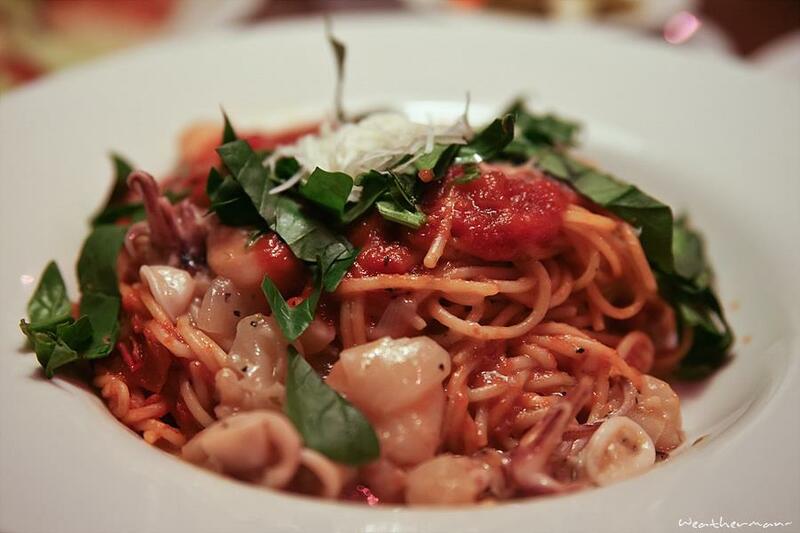 After stay the next important and basic necessity is food. Most joints are small restaurants or stalls and they serve typical Konkani, Kolhapuri and Maharashtrian cuisine near the bus stand and police check post. They are reasonably priced and decent. In case you are not on a tight budget and want to enjoy the view of the mountains along with the food you can check out Vithal's Kamat, which is near Sunset Point. It provides traditional south Indian delicacies along with other cuisines. The place and ample parking area and is slightly higher priced as compared to the other joints. Unlike most other hill stations, you will not come across fruit juice shops. With Kolhapur the sugarcane town being in the vicinity you can get sugar cane juice near the bus stand. You will find many stalls selling aerated drinks, bottled water and hot beverages in the town and near the tourist attractions. No holiday is complete without shopping for traditional items and souvenirs. You can check out handmade wooden toys which you can take back home as memories from Amboli. Since the place is quite small, the local shops do not accept credit cards. Remember to carry cash with you. If you have your own vehicle then you will find traveling around Amboli easy. This is because three wheeler rickshaw is the only mode of transportation in this place. Some private taxis will be available near the bus stand and you can strike a reasonable deal for visiting the nearby attractions without much haggling. Well, now coming to the most important part of the article- what to see in Amboli. Most tourists attractions are along two opposite routes: towards Belgaum and towards Sawantwadi. Hence, it is quite obvious that you will need to visit these attractions separately. The attractions along Belgaum includes Hiranyakeshwar temple, Kavleshet Point, Maruti Mandir and Nangarta Falls. While the attractions towards Sawantwadi include Shirgaonkar Point, Amboli Falls, Madhavgadh and Sunset Point. One of the most famous attractions is this temple. It is just 5 km from the main bus stand of the town along a motorable road in the Amboli hills. Once you reach near this place, you need to walk for about 10 minutes along a straight road to the ancient Shiva temple called the Hiranyakeshwar temple. Near this temple is a cave from where the water emerges. Actually the source of the Hiranya keshi river is right here in the hills. Visit the temple, and then sit under the trees or go to the place where you can see the river water gushing out. Based on what the local villagers say, the caves can be explored. Enjoy a holiday at Amboli hill station kavle-crow is the main attraction in Marathi. Kavlesad point is located at a distance of 11 km from the Amboli bus stand. You will need to take a four wheeler or a three wheeler. No buses ply to this point directly. From the highway, you need to take a 3 km detour to reach this attraction. The place is devoid of locals, and you will the find only occasional presence of vehicles and people. The views of the mountains and the valleys are just breathtaking. Along the ridges you can see several waterfalls at a distance. 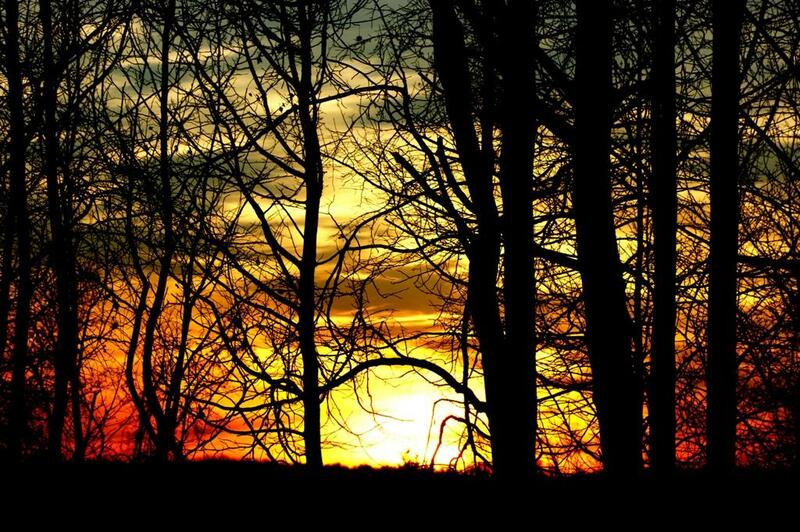 Walk along the viewing area and you will get several different views of the nature's beauty. Kavlesad Point is a must visit attraction in Amboli. This attraction is special to the religious freaks and just 2 kms away from the bus stand. 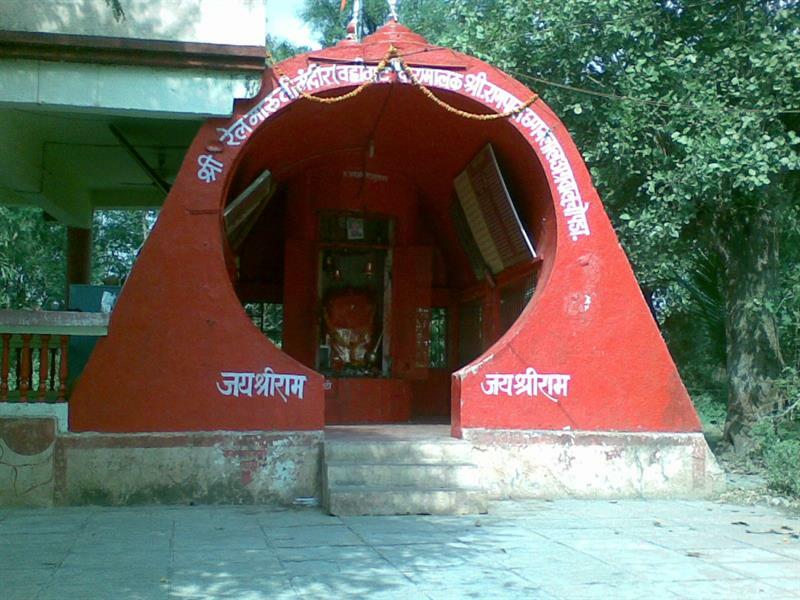 This temple houses Ganesh and Ram temples along with Samadhi of a saint of Amboli. We had limited time in Amboli and hence could not visit this temple. 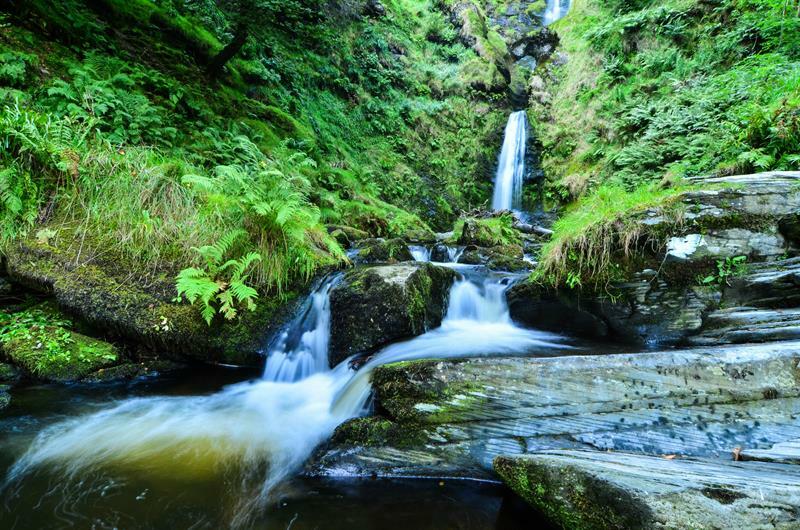 If you are a nature freak and love waterfalls, then you cannot miss seeing these falls from a distance! These falls can be reached by vehicle and is about 10 kms away from the main part of the town, off the state highway 121. You can reach the falls by climbing down a flight of stairs to the constructed view point. From here you can get a complete front view of the falls. As you will see, the water falls down from a height of about 40 feet. The water volume is quite large if it has just rained. It is during this time that the water falls make a hell of a noise which cannot be missed even from the road. I was awed by the majestic water falls. This is one of the main waterfalls and a talk of the town, and very popular among all tourists. 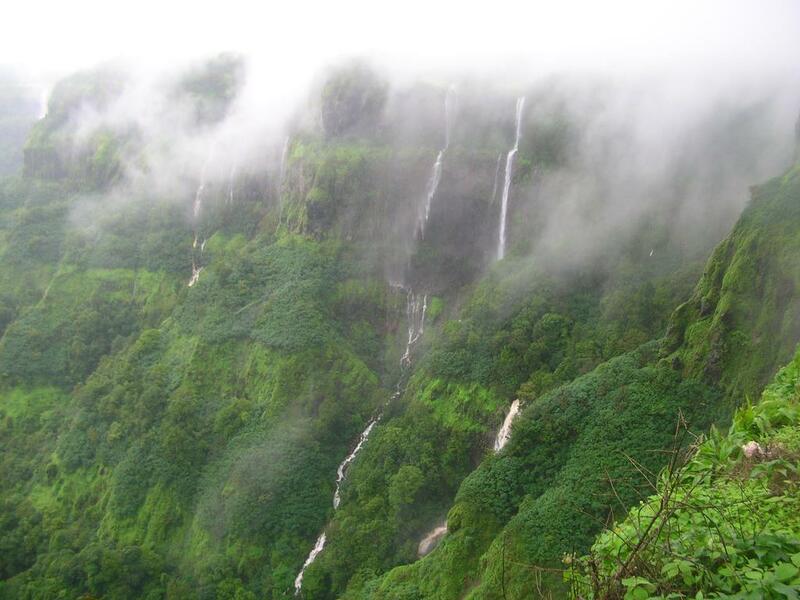 Amboli Falls is located at a distance of 3 kms from the main part of the town. This place is crowded and you will find some local stalls serving hot beverages/cold drinks and may be some light snacks like kanda bhajiyas and Makai/ corn. These falls are at their peak in the monsoons, when you will find plenty of water gushing down the stones. The falls are on the side of the road, beautiful and hence a must visit tourist attraction. This point is located at about 3 kms from the main stand. The point offers wonderful panoramic view of the mountains and a valley. Again, this attraction displays its beauty in the monsoons. Another breathtaking attraction at a distance of 2.5 kms from the main stand is this fort. Although it is not maintained at all, and is in ruins the view of the Sahyadris from its top is spectacular. You will get a fantastic view of the mountain ranges, valleys and the Arabian Sea if there if the clouds allow you to have good visibility. If you are looking forward to closing your day with the awesome view of the sunset, then do not miss this attraction. It is just one km away from the main part of the town. To Enjoy a holiday at Amboli hill station, Unfortunately, we had only a single day to spare at Amboli since we had clubbed with Tarkarli trip. Hence we enjoyed visiting only some of these attractions. But from my memories, Amboli is the queen of the Sahyadris, with picturesque views of the mountains, valleys, and waterfalls. A must tourist destination in the monsoons, reasonably priced, not very crowded and beautiful.